My husband hosted a good old fashioned barn raising a few weeks ago. 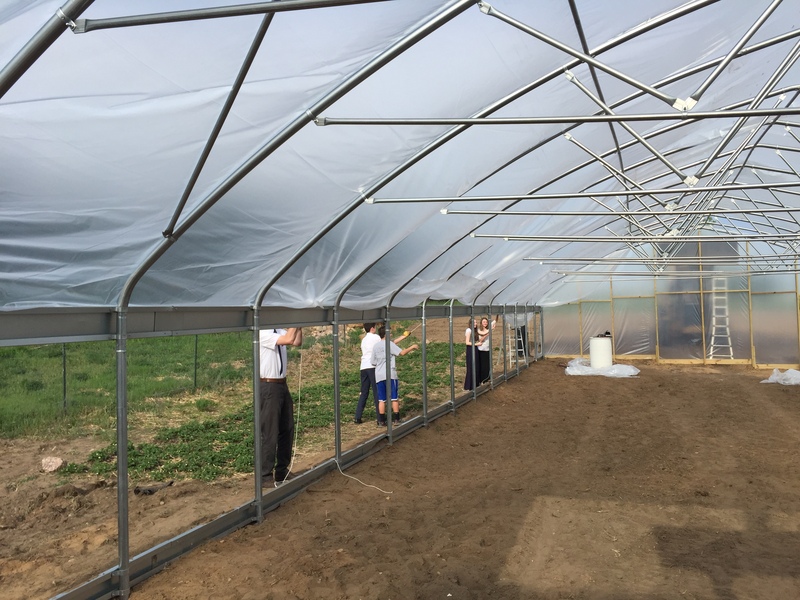 The only difference was that it wasn’t a barn, but a high tunnel he was constructing. 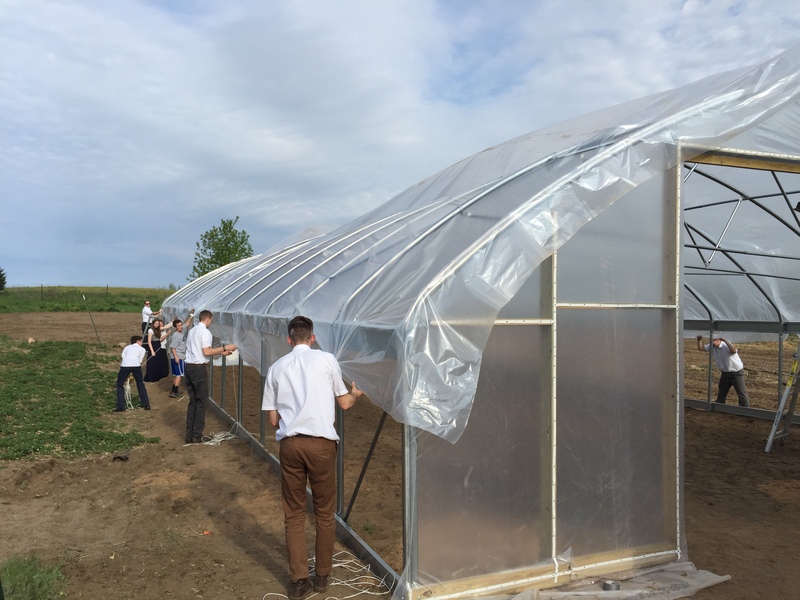 Have you ever heard of a high tunnel? I hadn’t either. 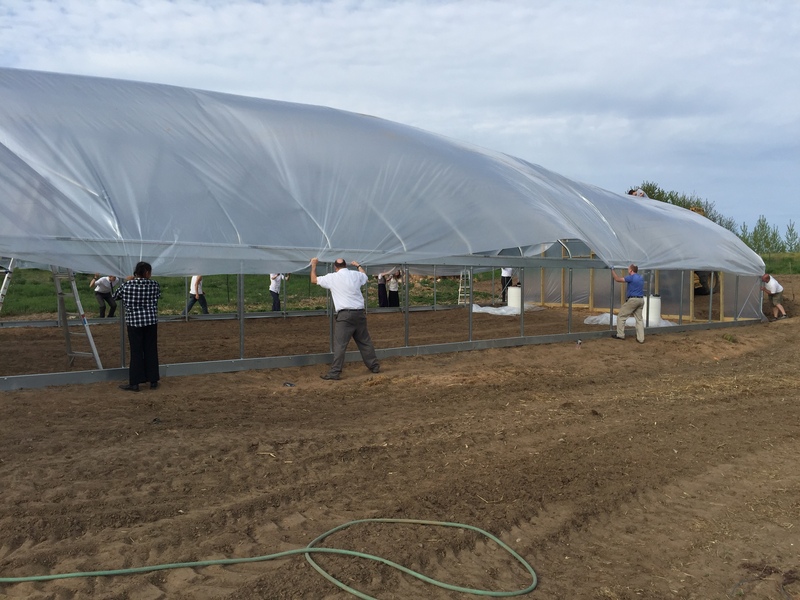 Essentially it is a very large greenhouse. My husband is a closet farmer who works his day job as a director of an IT Consulting firm only to rush home to spend as many hours as possible in the garden. He LOVES to garden. And for him, it has always been “the bigger the better.” For me, on the other hand, gardening is pretty far down my list of things I enjoy doing. Like, at the very bottom. The gardening I do is purely in support of my husband. 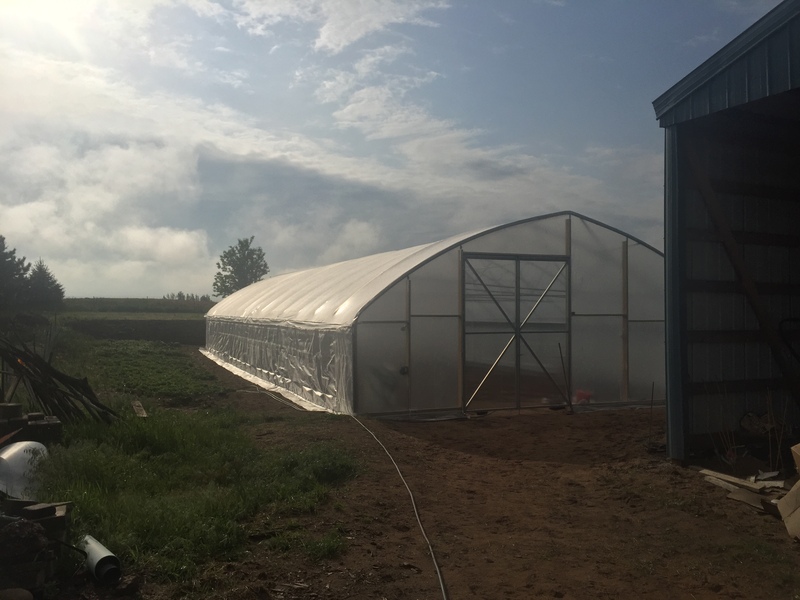 So when he suggested we get a high tunnel for our garden this year, I told him I thought it was a great idea! “It will extend our growing season!” he proclaimed. “We can grow things we wouldn’t normally be able to!” he exclaimed. The plastic was in one giant piece and it took probably 20 plus people all holding either plastic or rope to pull the plastic over the top. The culminating event came just after many of us had returned home from a church outing, so many of us were still in church clothes. It really gave a nice feel of an Amish barn raising with all of us in our church clothes working together! 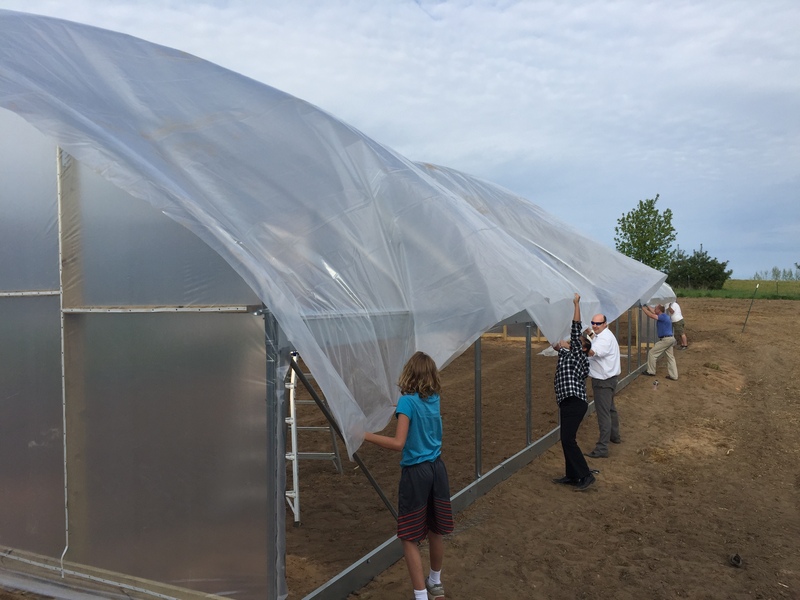 I was on the side of the high tunnel where I was trying to help hold the plastic down. This was a huge piece of plastic and every time the wind would kick up a little, the plastic would begin to fly away like a giant kite. It was much harder to hold down than I had expected, and I was very glad to have as much help as we did. We did eventually get it over the top and all tacked down. 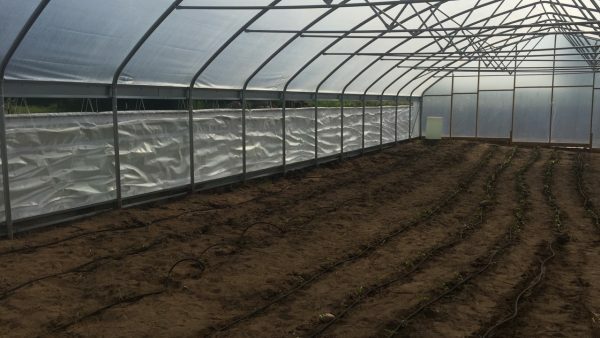 The high tunnel is now full of plants for the year. The heat it generates is amazing. Maybe we could actually grow avocados in Wisconsin! But really I’m just holding out for when it is -20 degrees outside in the winter and 80 degrees inside the high tunnel and then you will likely see me trudging out through the snow in my swim suit to enjoy some real heat in the winter. 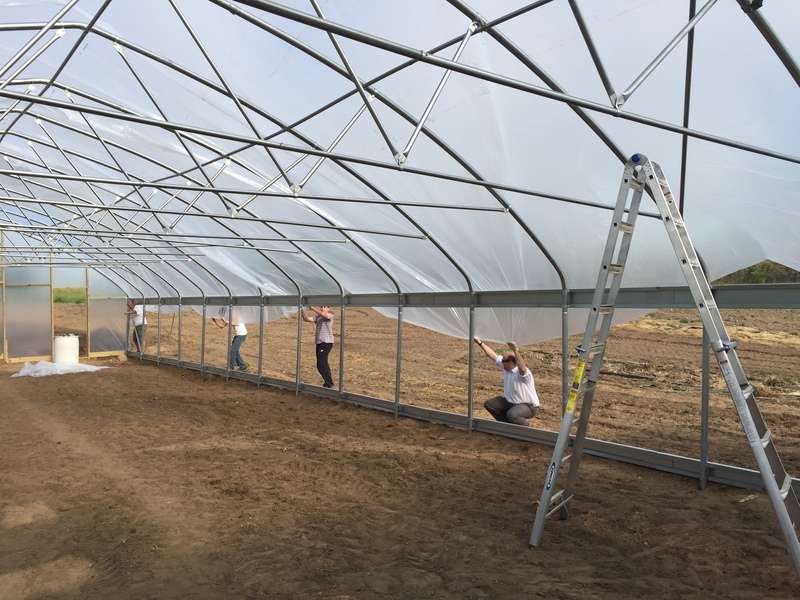 We do just about anything to get through the winters here–even build high tunnels.